Effectiveness by Covey is "P/PC Balance"
I started to read 7 habits of highly effective people from Stephen R. Covey, I am not finished with it yet however there is something that caught my attention in the part one of the book and that was the definition of effectiveness. According to Covey effectiveness is what he called the "P/PC Balance", and he explains it based on Aesop's fable, the goose and the golden eggs. In case you have forgotten about it you can remember it here before we continue. This fable is a natural law, a principle - the basic definition of effectiveness. Most people see effectiveness from the golden egg paradigm: the more you produce, the more you do, the more effective you are. However as the story shows, true effectiveness is a function of two things: what is produced (the golden eggs) and the producing asset or capacity to produce (the goose). 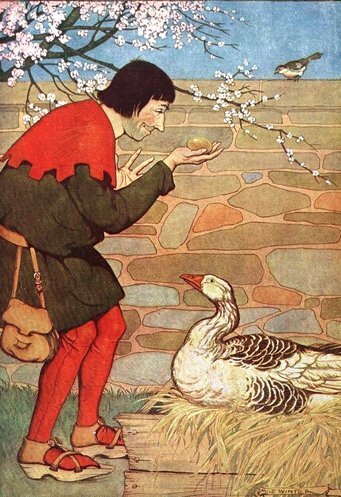 If we accept a pattern of life that focuses on golden eggs and neglects the goose, we will soon be without the asset that produces the golden eggs. On the other hand, if we only take care of the goose with no aim toward the golden eggs, we soon won't have the wherewithal to feed ourselves or the goose. So then, effectiveness lies in the balance, "P/PC". "P" stands for production of the desired results, the golden eggs. "PC" stands for production capability, the ability or asset that produces the golden eggs. Covey gives an example, to explain the organisational PC that I brought to my field of study Software. When people fail to respect the "P/PC" Balance in their use of physical assets in organisations, they decrease organisational effectiveness and often leave others with dying geese. For example, a person responsible for a software product (developer, product owner, ...) might be eager to make a good impression on his managers. Perhaps the company is growing and promotions are coming. So he does his work at a fast pace, hacking the system for quick wins in order to keep it going. He delivers the product on the agreed date so managers are happy. Within a short time, he is promoted. Golden eggs! But let's assume you are his successor on the job. You inherit a code that is difficult to read and understand, no documentation, no tests, and bad performance due to the hacks implemented. You have to invest time in downtime and maintenance. Costs skyrocket; profits nose-dive. And who gets blamed for the loss of golden eggs? You do. Yet is difficult and most times we are under pressure, locked in that circle of quick fixes and hacks, it is definitely worthy to embrace the principle of effectiveness in our lives and think about the choices we make every day and how they will affect us in the long run. Finding the balance in "P/PC" is difficult and takes time to think about our next actions however it pays off unless we want to kill our goose of golden eggs. I will finish the post with this tremendous song from one of my favourites bands, "Under pressure" - Queen.